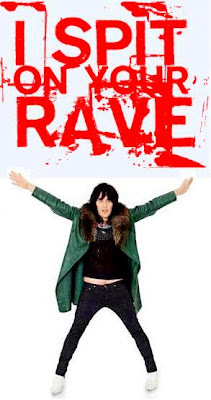 Noel Fielding will play the Zombie King in new zombie movie 'I Spit On Your Rave' which will attempt to break the Guinness World Record for the largest amount of zombies caught on camera, by recruiting festival-goes as extras. The mockumentary, directed by Chris Boyle, is set nine years after mankind was obliterated by a virus released during the 2012 Olympics. Zombies have taken over the world but, like their human ancestors, they are partial to a summer festival. The film is co-financed by Film4 and Warp Films. Big Chill ticket holders can take part in the film but are to dress as zombies for a big Zombie Chase scene. The big chase scene will be shot at 7pm on the opening day of Big Chill, August 6, where the Open Air Stage field will be open only to people looking like the living dead. Fielding headlined the Big Chill Festival last year with the Mighty Boosh Band, and will also perform a solo set this year. In other Noel Fielding news, Fielding will also unveil a new double act next month, without his long time Boosh partner Julian Barrett. Dave Brown who plays gorilla Bollo in the Boosh will partner with Fielding for the project The Doctor and The Pencil. The act will be unveiled at the Brick Lane Takeover on August 13 at a one day music festival in East London raising money for Macmillan Cancer Support.